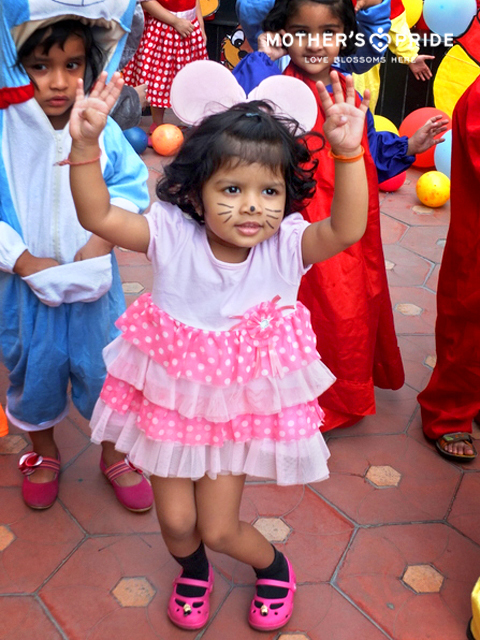 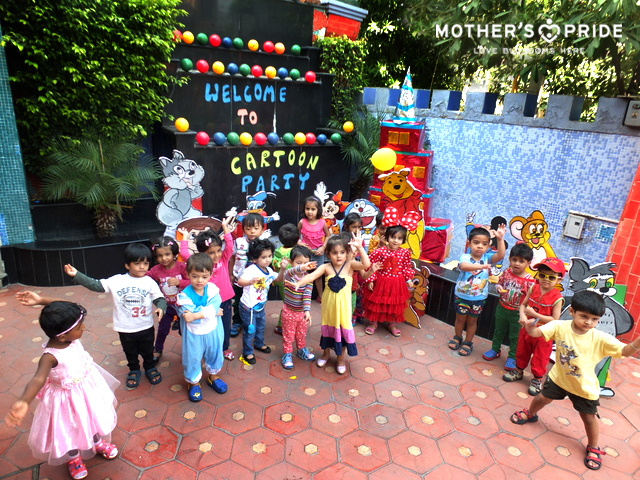 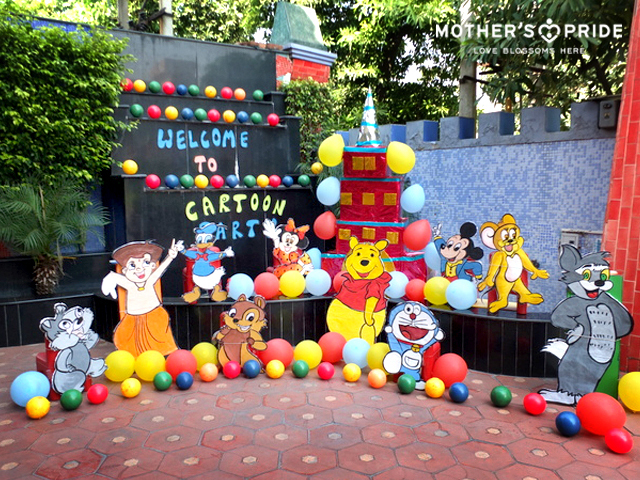 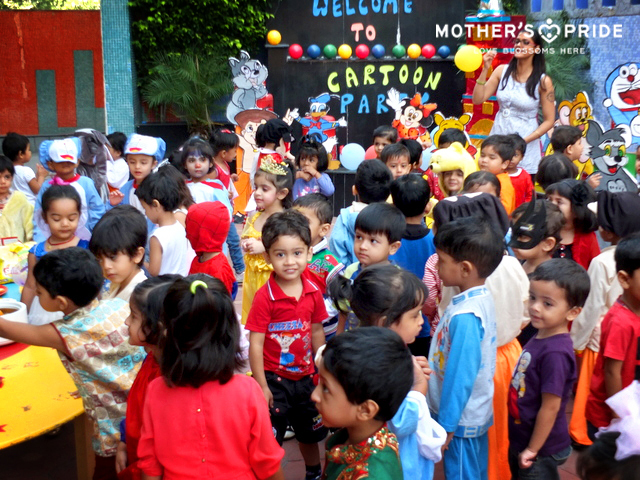 A cartoon party was organized for the students of Mother’s Pride, Noida-61 branch where a beautiful and lively setup was made with a display of cartoon characters like Doraemons, Bheem, Little Chutki, Pooh and Spider Man to welcome the little ones. 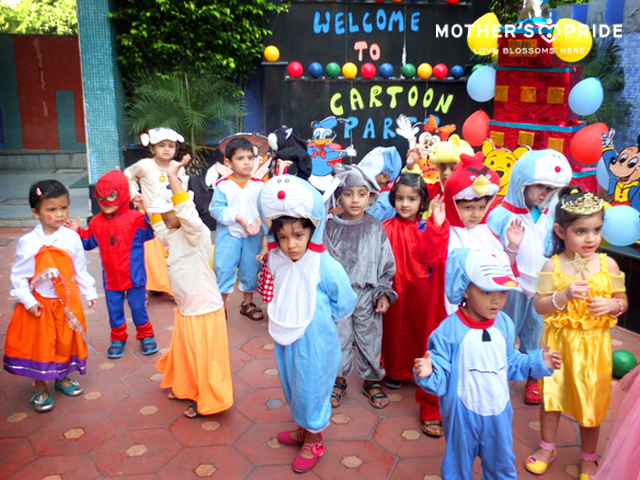 The teachers introduced the cartoon characters and their favorite food to the children. 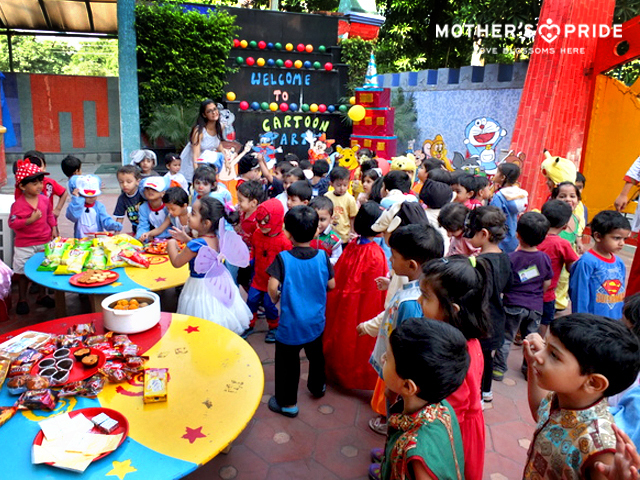 A food corner was setup for the children, where the favorite foods items of their cartoon friends like laddoo, cake, cheese etc. 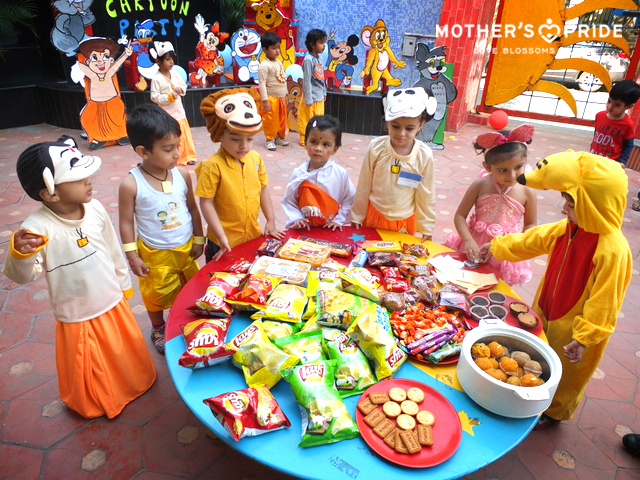 were served. 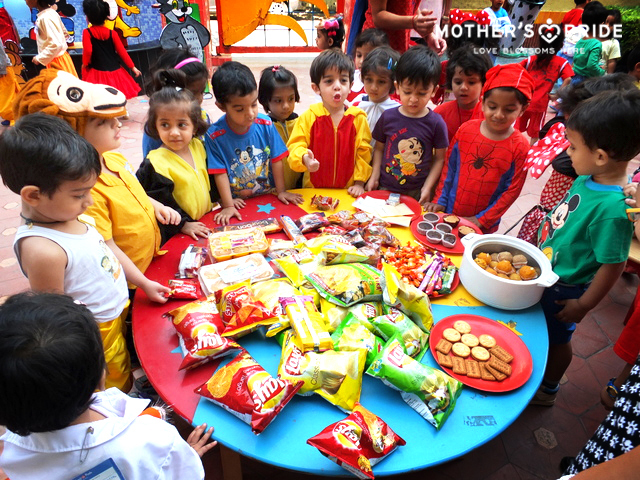 Children relished eating the same and were also encouraged to share their favorite food. 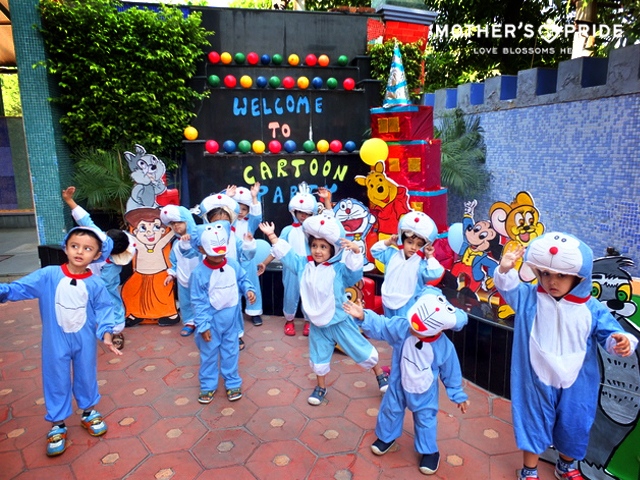 The activity was concluded with children engaging in “tearing & pasting activity” of a cutout of their favorite cartoon character Doraemon. 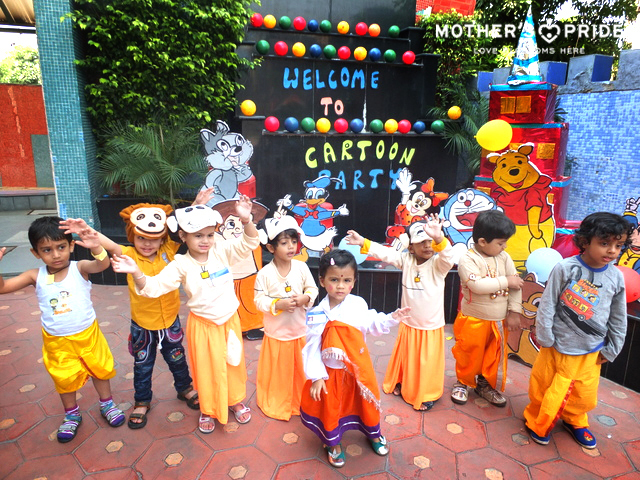 The activity helped enhance their fine motor skills and promote better cognitive and social development.